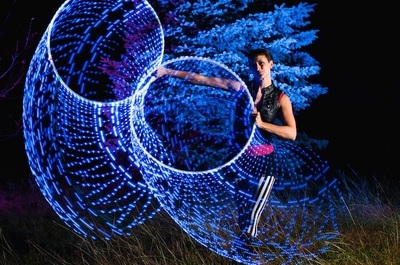 Lisa Looping is based in Vienna but loves to travel across the globe to spread the hooping fun. 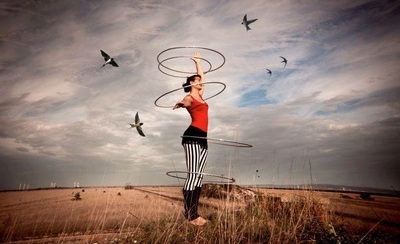 2008 she discovered her love for the hula hoop, since then most her life is circling around this fascinating object of infinite possibilities. 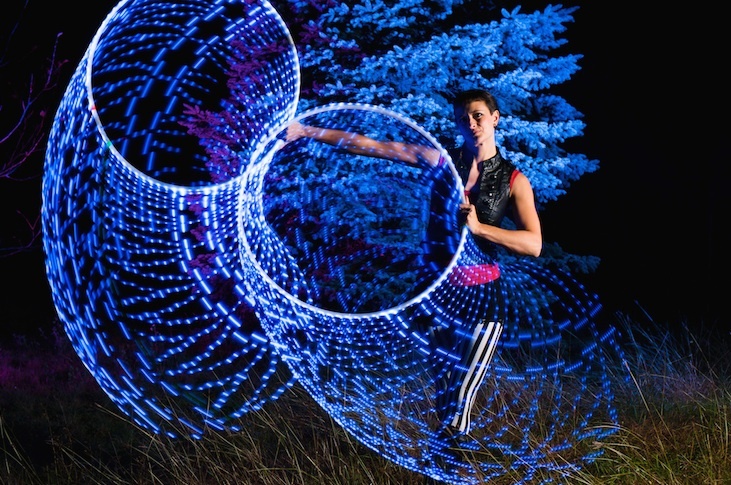 She has passionately specialized in fire and multiple hooping with LEDs, UV active or reflecting special effects. 2011 she started her solo project Lisa Looping, teaching workshops and performing on stage. Inspired by all the amazing hoop conventions happening worldwide she decided to bring the Austrian hoop community together and organized the first edition Austrian Hoop Convention in 2014 together with Lisa Pfleger. 2016 will be the 3rd edition and Lisa is aiming to make it the best ever, hoping to meet everybody's expectations and considering all feedback from the previous years. Lisa is also a passionate and certified Aerial Yoga and Hatha Yoga and AcroYoga teacher.